I love this set! The mini size is unique and easy to pack away in a purse, etc. 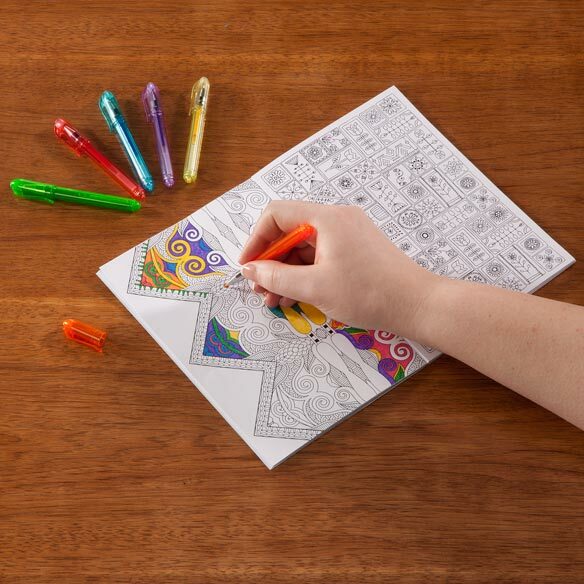 There is a nice variety of different coloring pages as well. They are small enough to carry with me any where I go. Gave them to my grand daughter. This is the perfect size for on the go. Thank you for caring this size. I am an avid adult coloring person, love the arts. I thought these mini coloring books would be great for my purse when traveling. A great value considering the number of books and pens included. I can't wait for the delivery. Love to color. These books will fit right into my purse. I find coloring is very relaxing for me. I have been doing it for the last three years, since I came to live in Assisted Living. This gives me some miniature books to take with me when I go to my children`s home for short visits. My Daughter and Granddaughter also love to color, so I have company. Thank you for asking. I want to enjoy coloring but I would like to use elements to use on the front of homemade greeting cards. 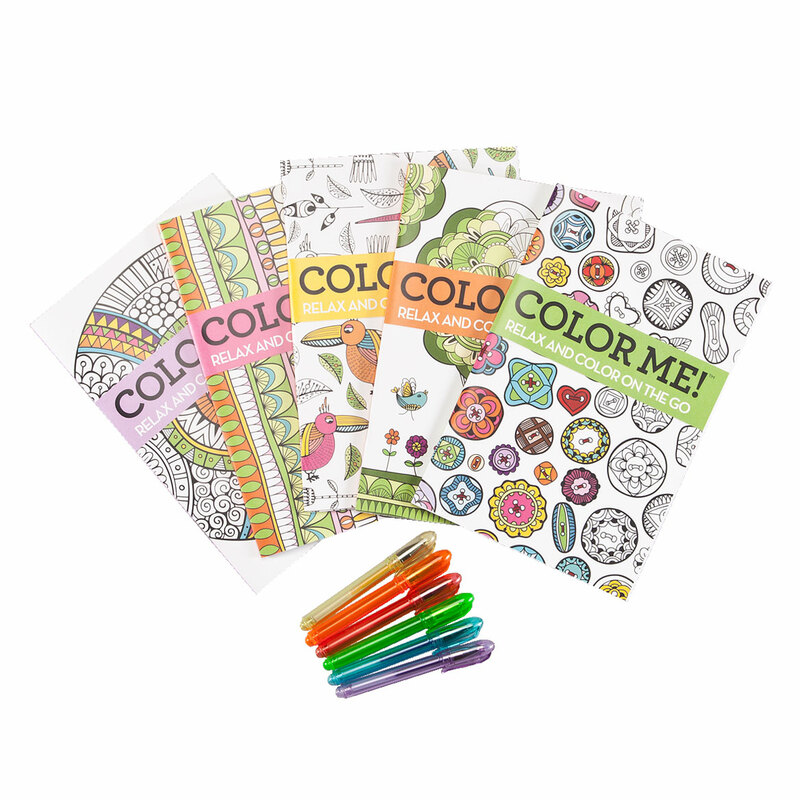 I love to color and these small books will be easy to carry anywhere. I enjoy relaxing with a coloring book and these are the right size when you are traveling. My sister loves to color and include in cards she is giving to people. This is a great size for that. Books for class at library to use the gel pens to color. I have been looking for this small books they are good for on the go. 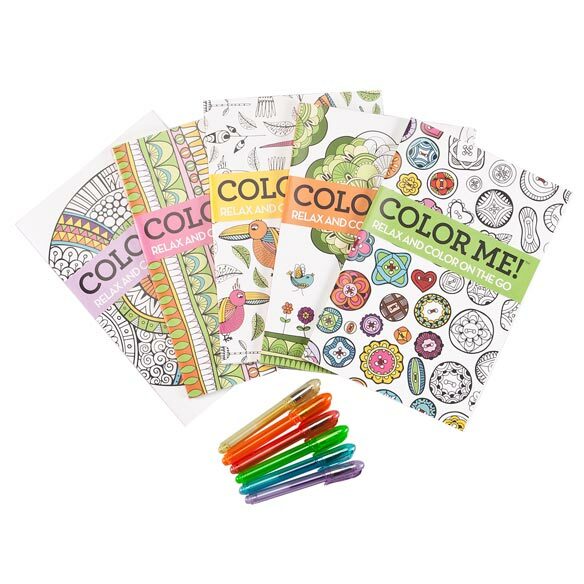 I love to Color and these are a perfect size to take anywhere! easy to take to dr. appts, etc. Are the designs printed on both sides of the paper? You want. I only like one sided as well. Thank you Carol. I wish they wouldn't do that!! I use markers and they bleed through to the other side. I appreciate you answering my question! I wish more sites had this available!!! Yes, pictures on both sides of the page and every book is beautifully detailed.